Springtime in Japan brings the country's famous cherry blossoms into bloom, but it also causes widespread bouts of hay fever that hurt businesses across the country. 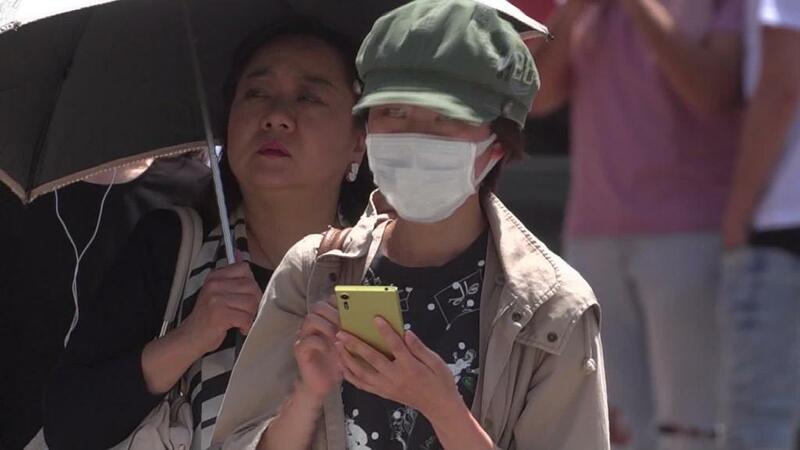 Japan will lose around 200 billion yen ($1.8 billion) this year because of pollen-induced allergies, according to the Dai-Ichi Life Research Institute, a research firm in Tokyo. The damage comes in several forms, according to Toshihiro Nagahama, the institute's chief economist. Fewer people want to go out, which hits consumption, and workers suffering from hay fever take more sick days. Or if they do show up to work, they're less productive. And 2018 is looking like one of the worst years on record for hay-fever sufferers in Japan. The pollen count in some parts of the country has more than doubled compared with last year. Tokyo has been hit particularly hard. A local government survey this year showed that half the capital city's population suffers from hay fever, compared with less than a third in 2008. At the heart of the problem is Japan's reforestation effort following World War II. Unfortunately for hay fever sufferers, many of the trees planted then were cedar and cypress trees, which have now matured and are hitting their peak pollen-producing years. The city is spending about $7 million every year to cut down the allergy-inducing trees and replace them with lower-pollen varieties instead. Authorities have been replanting about 60 hectares every year since 2006, but uprooting too many trees too fast could trigger landslides and flooding from the hills around Tokyo. "It's not enough," said Mamoru Ishigaki, who is in charge of Tokyo's forests. The city has around 30,000 hectares of pollen-producing trees, he added. "I'd like to increase the amount we replant, but even then it'll take between one and two hundred years to complete," Ishigaki said. The cost of the replanting program will add up to billions of dollars. But not everyone is losing money from hay fever: demand for surgical masks and medicines has spiked, giving pharmaceutical companies and drug stores a boost. Sales of anti-hay fever drugs topped 20 billion yen ($184 million) in March, according to Japanese medical research firm Anterio, the highest level in 10 years and an increase of 50% from the same month a year earlier. -- Yoko Wakatsuki and Junko Ogura contributed to this report.